A widely followed index of Canadian housing prices shows home prices fell in November over the month before, in 10 of 11 major markets tracked. The Teranet-National Bank House Price Index found that prices in its 11-city composite dropped 0.4 per cent from October's level. "It was the fourth November monthly decline in 13 years of data, including November 2008 when the country was on the verge of recession," the Teranet-National Bank analysis said. "For the first time since February 2009, when the recession was in full swing, prices were down from the month before in 10 of the 11 metropolitan markets surveyed." Its house price index fell in every city surveyed except Calgary, where prices rose 0.4 per cent in November from October's level. Prices have dropped for four straight months in Victoria and Quebec City. In Montreal and Ottawa, it was the third straight decline. Toronto and Halifax registered their second consecutive monthly drops. Prices were also down month over month in Vancouver, Edmonton, Hamilton and Winnipeg. The index still shows national prices rose by 3.3 per cent over the last year. But that annual price growth figure has decelerated for 12 consecutive months — a sign that prices are cooling overall. In Vancouver and Victoria, house prices have fallen over the last year by 1.4 per cent and 1.7 per cent, respectively. 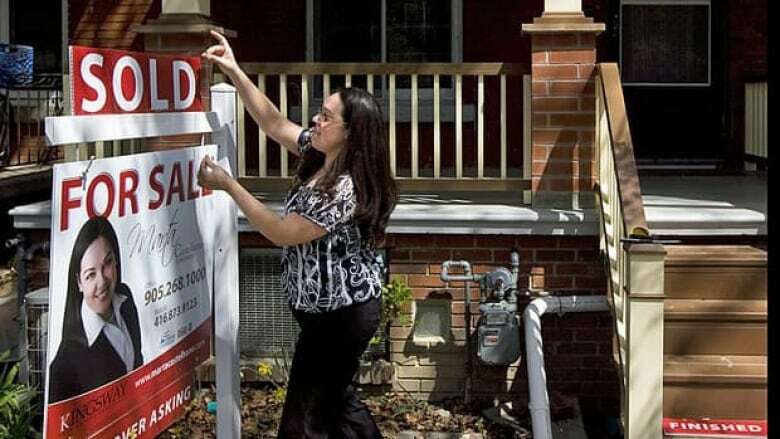 Canadian Real Estate Association figures released on Monday show sales nationally have slumped 12 per cent over the past year, with average prices down almost one per cent. Many housing analysts see average prices dropping next year, with big city condo markets especially vulnerable. CREA said Ottawa's moves to tighten the rules that govern mortgage lending are responsible for cooling the housing market. Finance Minister Jim Flaherty does not dispute that assessment, saying a slowdown now is better than a crash later.